Can you imagine what your home would be like with damaged gutters or without gutters? Before it’s too late, before foundation problems occur and your landscape erodes, invest in good gutter services. We’re Miller’s Home Improvement, your local and reliable contractor. As an extension of your roofing system, gutters are important because they collect rainwater and should lead them away from the house. Gutter Installation – Professionally installed gutters are always better than DIY jobs. We make an assessment and guide you through the material and style selection process. Every house deserves gutters from the start. Gutter Cleaning – Most gutter cleaning tasks can be done by yourself but the problem is, you don’t have the time! Our done-for-you cleaning service removes all debris that prevent the adequate flow of water. Gutter Repair and Replacement – Leaking, sagging, holes, corrosion… We fix these gutter issues and more. As much as possible, we want to save your gutters. However, if your gutters are beyond repair, the most cost-effective option will be a replacement. The lightest of all gutters, choose vinyl to prevent rust and save more money. Vinyl is the most affordable type. Changes in temperature don’t affect aluminum gutters. We assure you aluminum won’t fail easily. Despite being quite pricey, you’ll want stainless steel because it can be used to create seamless gutters. We pride ourselves on our personalized service. We treat every gutter project uniquely. 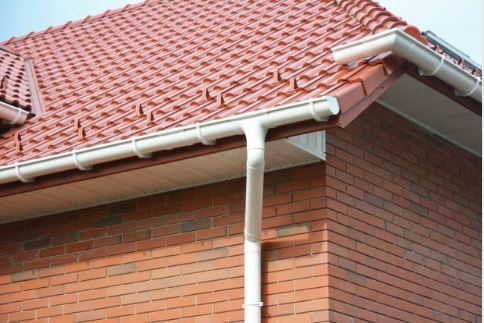 Following current and the best practices in maintenance and installations, we offer you long-lasting gutters. You’ll be glad to know that our work and gutter materials come with great warranties. Talk to our specialists to learn more. Ready for a site inspection and free estimate? Call Miller’s Home Improvement at 248-242-0820.